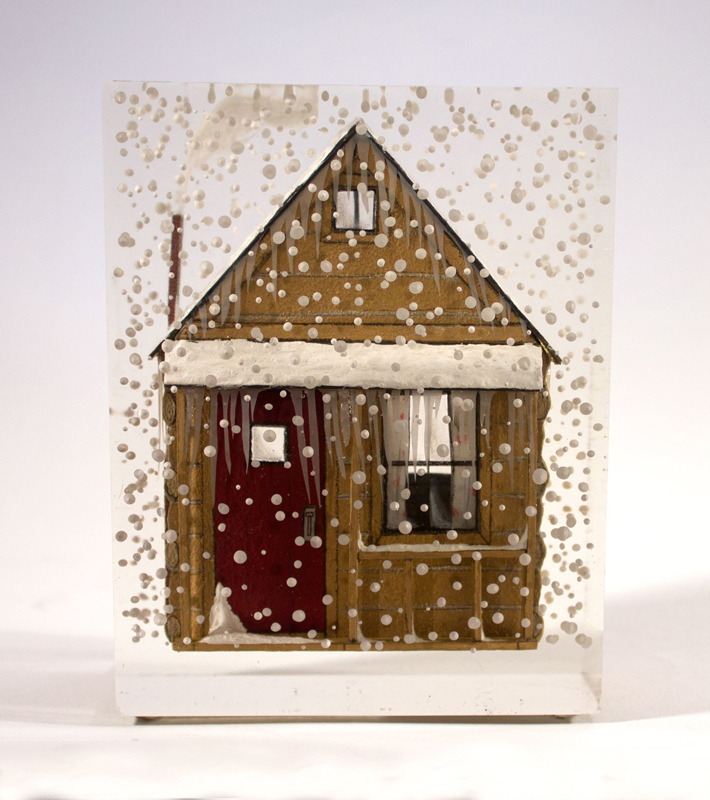 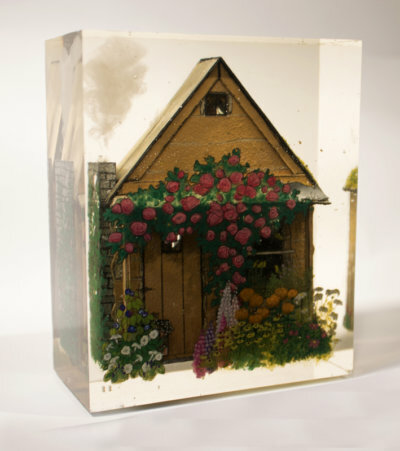 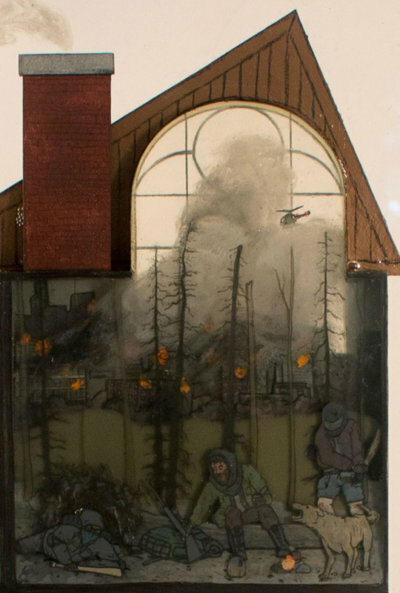 Jessica Korderas creates three dimensional dioramas that she meticulously constructs through painting and drawing, which are then cast, layer upon layer, into a block of resin. The process is slow, time consuming, and unforgiving. Each work is carefully planned and considered. 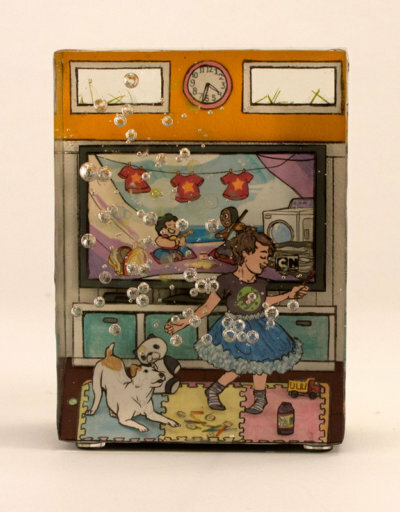 Korderas combines drawing with acrylic resin to create a relief effect. She constructs the backgrounds on illustration board. 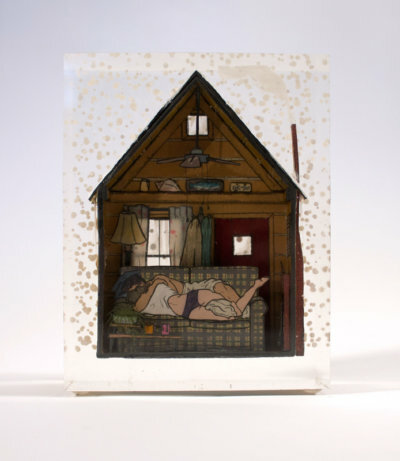 She creates the figures and paints each one on mylar. 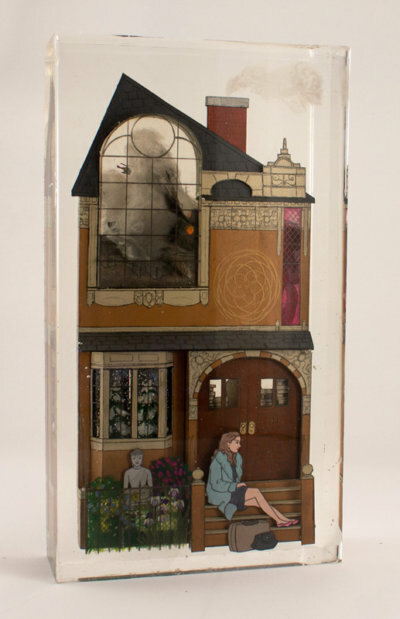 The figures and backgrounds are cut out and arranged in layers of resin within the piece to create depth. 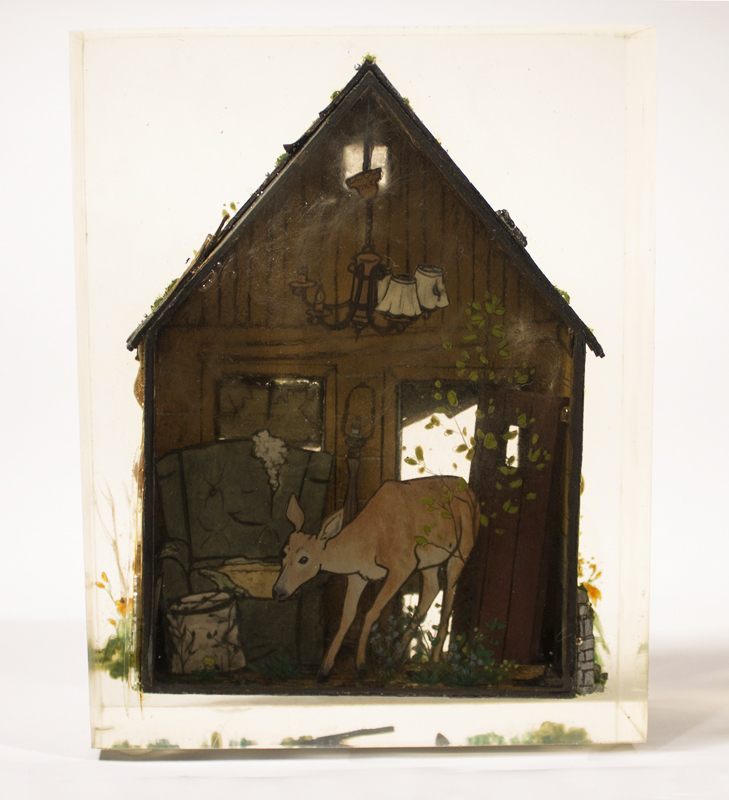 By embedding the figures and drawings in resin, the colours become illuminated and the light is bent and trapped within.